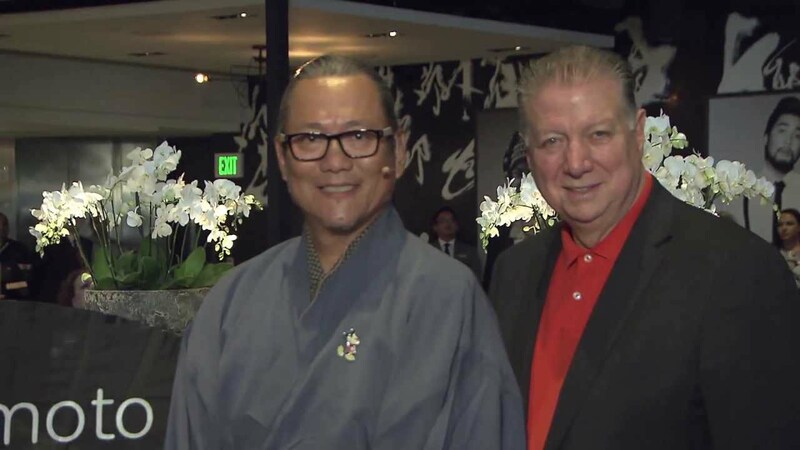 Sep 30, 2015 in "Morimoto Asia"
Morimoto Asia at Disney Springs is now officially open and Iron Chef Morimoto joined in the grand opening last night with Disney leaders and the big cheese himself, Mickey Mouse. The latest of the new additions to Disney Springs, Morimoto Asia will be opening for dinner from September 30 2015, with lunch and a weekend brunch offering to be added later in the year. In early 2016, the restaurant will also be adding a quick service offering on the lower terrace to compliment its regular table service menu. Check out the video for a look at the opening and a tour through the restaurant. See the full menu. We'll have a full review of Morimoto Asia soon.